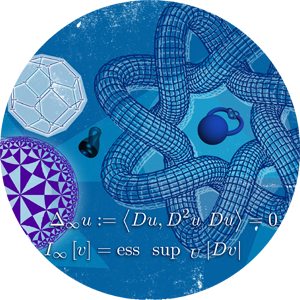 This weekend, the University of Kentucky Department of Mathematics will host the first Julia Robinson Mathematics Festival for middle and high school students across the state. The event will be held 9 a.m. to noon Saturday, Nov. 4, in the Don & Cathy Jacobs Science Building. "This is part of a national initiative begun in 2013 to have students work on mathematics puzzles in a collaborative, noncompetitive and fun environment," said Margaret Readdy, UK professor of mathematics, who is organizing the event with Richard Ehrenborg, also a UK professor of math. "Professor Ehrenborg and I became interested in this after I brought our two sons to a Julia Robinson Math Festival in Princeton three years ago while on sabbatical. It was a lot of fun for the kids." The festival is named for Julia Robinson, a mathematician who was the first woman president of the American Mathematical Society. UK faculty, graduate students and undergraduate students have volunteered to help with the event. "It is a good chance for the attendees to learn some math, ask questions about the UK Math Department and learn about the many careers a math major opens up," said Readdy. "Mathematics trains your brain to be logical, creative and problem solving, all traits needed in a modern economy."